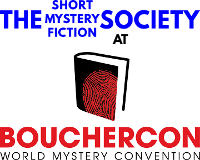 The Bouchercon 2015 SMFS Meetup Lunch is planned for Friday, October 9, during the 11:00 A.M.–1:00 P.M. break between panels. Those joining us from the Sheraton, aim to meet Judy Penz Sheluk in the Sheraton lobby at 11:15 A.M.
Those joining us from the Marriott, aim to meet Kathleen A. Ryan in the Marriott lobby at 11:15 A.M. Both groups will combine with any other members at The Plaza Cafe (411 Fayetteville Street, Suite 109) by 11:30 A.M.
Meeting in the Sheraton lobby 11:15 A.M.: Judy Penz Sheluk, Paula Gail Benson plus 1 (Riley Miller), Catherine Dilts plus 1 (friend Patricia), John M. Floyd plus 1 (wife Carolyn), Barb Goffman, Josh Pachter, Travis Richardson plus 2 (wife and baby). Meeting in the Marriott lobby 11:15 A.M.: Kathleen A. Ryan, Kait Carson, Ray Daniel, Susan Furlong, Debra H. Goldstein, Toni Goodyear, Deborah Lacy, Robert Mangeot, Edith Maxwell, Terrie Farley Moran, James O'Keefe, Gigi Pandian, Harriette Sackler, Karen E. Salyer, Mary Stojak, Rebecca Swope, Art Taylor, Mark Troy plus 1 (wife). Meeting at the The Plaza Cafe 11:30 A.M.: Pam De Voe, Toni L.P. Kelner, Alan Orloff, KM Rockwood, B.K. Stevens plus 1 (husband). 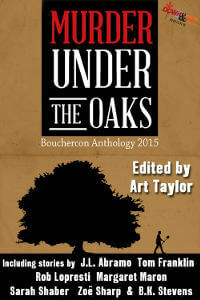 In the latest issue of the International Thriller Writers' online publication, The Big Thrill, the SMFS's Art Taylor describes editing Murder Under the Oaks, the Bouchercon 2015 anthology, which can be pre-ordered from Down & Out Books to ship directly to you or for pick-up at the con. Also in this issue, J.H. Bográn interviews Art about his novel in stories, On the Road with Del & Louise, due out September 15 and available for pre-order now.